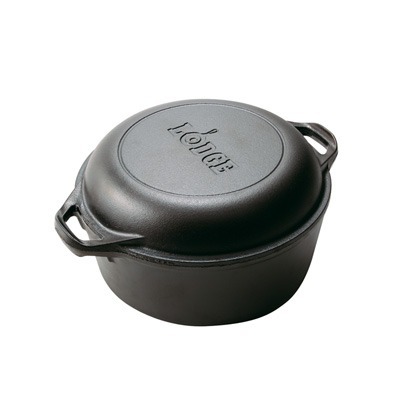 The Lodge 5qt Double Dutch Oven is every cook’s dream with a lid that easily converts to a 10.25 inch skillet. 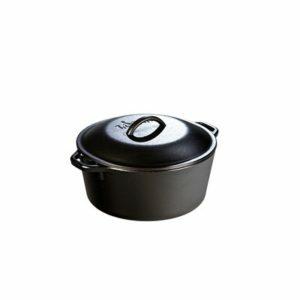 The domed cover provides space for roasts and is great for no-knead bread recipes, soups or stews. 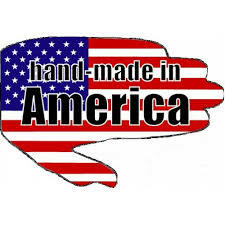 It conducts heat evenly with no hot spots and maintains heat for efficiency and cooking control. 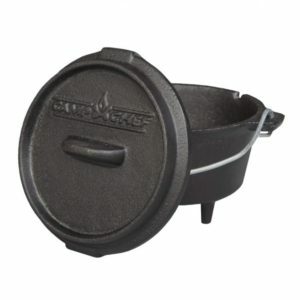 Lodge logic 5 qt double dutch oven and casserole with skillet cover. 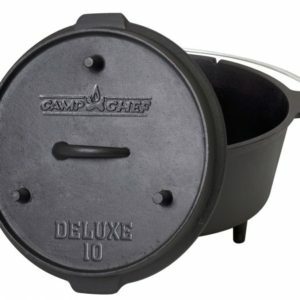 Sturdy integral, ovenproof loop handles for convenience. 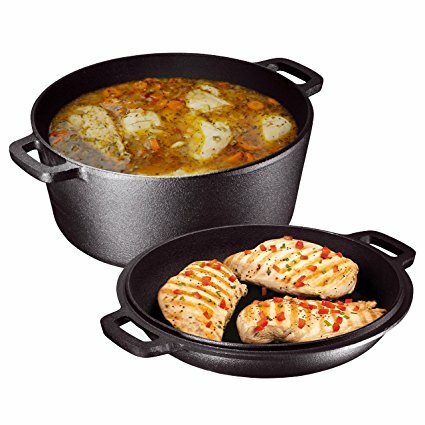 Tightly controlled metal chemistry and exacting mold tolerances deliver consistent product for even heating and superior cooking performance. 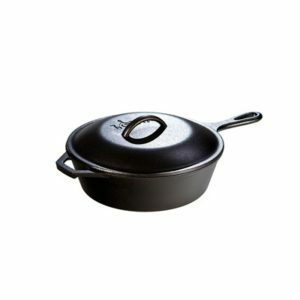 The high dome lid offers greater capacity and also works double duty as a skillet. 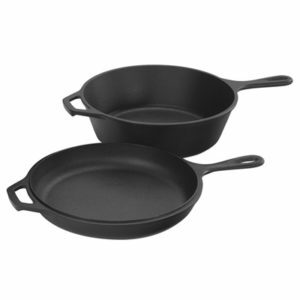 Electro statically coated with a proprietary vegetable oil, and cured at high temperatures to allow the oil to deeply penetrate the surface of the cast iron. 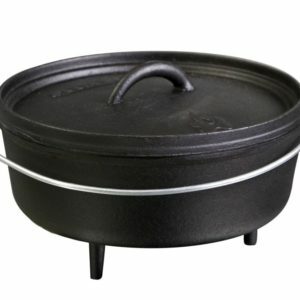 Maca 11″ Deep Cast Iron Camp Dutch Oven 9 qt.